DERRY -- Four years ago, retired town historian Rick Holmes sent a letter to the United States Postal Service calling for a stamp in honor of Derry’s beloved Alan Shepard, the first American in space. Though there’s no telling just what influence his letter had, Holmes and others of his generation will see their childhood hero featured on a Forever Stamp as part of the Postal Service’s 2011 commemorative stamp program. Shepard’s stamp will be sold as a pair with another honoring NASA’s unmanned MESSENGER mission, which in March is expected to become the first spacecraft to enter Mercury’s orbit. Both stamps were designed by Donato Giancola, of New York. Giancola is an awardwinning artist best known for cover illustrations for a variety of science fiction novels. On the Shepard stamp, Giancola paired Shepard’s visage with the Project Mercury capsule Freedom 7 and a Redstone launching rocket. The stamp’s May 4 release coincides with the 50th anniversary of Shepard’s Freedom 7 flight on May 5, 1961. The space program pair is 11th in the lineup of the Postal Service’s 2011 commemorative stamp program. All of the new releases will be marked Forever Stamps, good for 1 ounce of first-class mail regardless of rate changes. The Postal Service says that 28 billion Forever Stamps have been sold since first issued in April 2007, generating more than $12 million in revenue. The Postal Service requires that a subject be deceased for five years before appearing on a commemorative stamp. For Shepard, who died in 1998, the May 4 release will be his first time on American postage. But Holmes said that countries with fewer regulations have been issuing Shepard stamps for years. Altogether, there are about 100 Shepard stamps from nearly 30 countries, said Holmes, and many are displayed at the Derry History Museum. Holmes said he hopes that the new Shepard stamp will help rekindle the affection Derry had for Shepard 50 years ago. “It used to be all about Alan Shepard. People remember where they were for his space launch like they remember the Kennedy assassination,” said Holmes, who served as the town historian for 25 years. “When he landed, the church bells rang and everybody started clapping. All the businesses closed and everybody headed to Broadway. Derry Heritage Commission Chairman Frank Santiago said he, too, worries that Shepard’s significance has begun to fade. DERRY -- Two Derry firefighters injured during a house fire on Monday remain out of work this week, as investigators continue the work of identifying the cause of the fire. Three firefighters were treated at Parkland Medical Center in Derry Monday night, after Battalion Chief Michael Doyle said the men were injured during an interior attack on a fire at 12 Eastman Drive in Derry. The fire, which was first reported just before 6:50 p.m. Monday, destroyed the home’s interior to the point where it was deemed uninhabitable. One firefighter was transported to Parkland with reports of difficulty breathing, Doyle said, while two others were treated for second-degree burns of the ears and cheeks. Doyle said the three men were released early Tuesday morning, but the two with burns are still recuperating at home. “They are good, but sometimes doctors don’t want them to return to work because of the risk of infection with what we do,” Doyle said. Two adults were in the home at the time of the fire, family members said, but both were out of harm’s way by the time firefighters arrived. Homeowners Jennifer and Mark Salvucci said Monday that the fire started in their pellet stove, which Doyle said was set up in a large room at the back of the house with high ceilings and sliding glass doors. Derry Fire Prevention Director Michael Scott said investigators have yet to officially determine the cause of the fire, but said that the pellet stove is likely involved. “That’s what we’re looking at, but we’ve just got to look at everything,” Scott said. Scott said he sees pellet and wood stove fires each year, though not many. Scott said the department will offer courtesy inspections for anyone interested in confirming their alternative heating source has been properly installed. The Salvuccis said they had been living at the home with their two teenaged children for five years. The family is staying with relatives in the area while a more permanent situation is arranged, they said. LONDONDERRY -- A longtime holiday season tradition for area residents, this year’s Millennium Mile road race for the first time will also offer walkers and runners the chance to give back to their local school district. John Mortimer, director and founder of the Millennium Mile, announced recently that he would donate the proceeds back to the respective Londonderry school of every student and teacher registering for the one-mile race. “The more students, parents, and teachers that participate from each school, the more money the race will donate,” Mortimer said. A Londonderry native, Mortimer, 34, recently moved back to New Hampshire and founded his new events-management business, Millennium Running, after many years spent coaching track and cross-country at Harvard, Boston College and, most recently, the University of Kentucky. “Shortly after I moved back, I learned through the local news that the Londonderry School District is facing over $200,000 in budget cuts,” said the former University of Michigan All-American running star. “It’s really tough this year. We wanted to give back to the kids in the area as much as we can.” Having attended Londonderry schools from kindergarten through high school, it’s a cause near and dear to his heart. 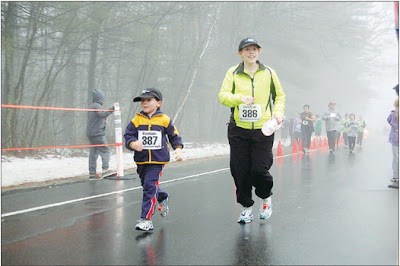 Now living in Grantham with his wife, Jennifer, an elementary school teacher, and 1-year-old son, Jack, Mortimer said his wife’s school recently held its own benefit road race, which inspired him to give this year’s Millennium Mile its latest twist. “It’s a way for people of all ages to start off their New Year’s resolution right and help the school district at the same time,” he added. In previous years, race participants have ranged in age from 2 to 82. Some of them have walked the entire way, while others have run for about four minutes. But the race just gets bigger and bigger ever year, Mortimer said. Londonderry’s first Millennium Mile race was held, fittingly enough, on the last day of the Millennium: Dec. 31, 1999, after Mortimer and a few friends, all professional runners, pondered a unique way to ring in the New Year. Around 120 runners participated, making a mad dash from Londonderry High School toward Mack’s Apples. Since then, up to 800 runners have participated in the race each year. This year, Mortimer hopes to see upwards of 1,000 walkers and runners making their way down Mammoth Road on New Year’s Day. Over the past six years, the Millennium Mile has also included a scholarship, in honor of Mortimer’s parents, Jack and June. The scholarship is given to one deserving high school senior each year. The 12th annual Millennium Mile, co-sponsored by the Union Leader Charitable Fund, will begin at 2 p.m. on Saturday, Jan. 1. Honors will be given to all age groups, with medals for the fastest boys and girls for each age 12 and under. Londonderry Superintendent Nathan Greenberg said information on the race is being sent to parents and guardians via e-mail, as well as sent home with each student. For more information, or to register for the race, visit www. millenniummile.org. LONDONDERRY -- As a child, Hudson resident Dave Smith and his family camped in New Hampshire’s White Mountains each summer. Now he returns there several times each month to take photographs that memories are made of. Smith will visit Londonderry’s Leach Library on Jan. 13 to offer his free presentation, “Seasons of the White Mountains,” to interested residents. “I started taking pictures when I was little using my dad’s old camera,” Smith recalled. After serving a one-year tour in Vietnam, Smith was stationed in Oklahoma in the early 1970s, where he worked in the Army’s photography department and eventually earned his photography certification. Having recently retired from his security administration position at Massachusetts Institute of Technology after 35 years of service, Smith specializes in digital photography of the White Mountains and New Hampshire wildlife. A native of Lowell, Mass., Smith moved to the Granite State in 1976 and has lived in Hudson for over two decades. 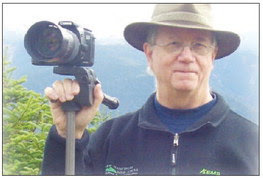 About six years ago, he began giving informative presentations on the region through the Appalachian Mountain Club in Glen and in the areas surrounding Crawford Notch, using his photography to take audiences on a visual journey along the trails, brooks and of the White Mountains throughout the seasons. At the suggestion of a likeminded friend, he soon added an oral history piece to his presentations, including tales of the Native Americans and colonial settlers that once dwelled in the region. Though his references are many, Smith said the works of historian John Mudge, author of “Legends and People of the White Mountains,” are among his favorites. Last fall, Smith began taking his presentation closer to home, giving chats for the Nashua and Hudson historical societies and public libraries. His appearances caught on quickly with locals. Smith said he soon noticed many “frequent fliers” seated in his audiences — familiar faces from previous shows. “Word gets around, I guess,” he said with a chuckle, noting that rather than simply lecture on a podium, he prefers to interact with his audiences, even offering a few pointers for budding nature photographers. When he visits the Leach Library later this month, Smith said local audiences can expect a 40-minute interactive lecture on the region’s history, including dates, events and stories of such personalities as Darby Field (1610-1649), the first European to climb Mount Washington; Mount Chocorua’s namesake native American; and the Willey family, who lived at Crawford Notch in the early 1800s and lost their lives during a rock-slide in August 1926. Today, Mount Willey, located on the notch’s west side, is named in the family’s memory. 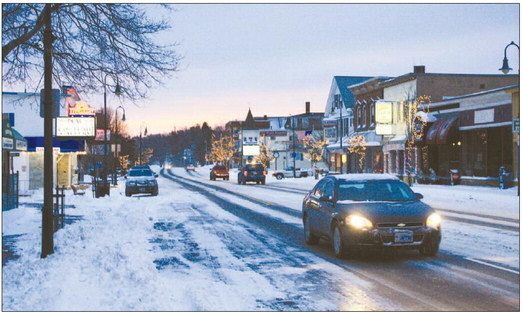 Smith’s presentation, “Seasons of the White Mountains,” will take place at the library on Thursday, Jan. 13, at 7 p.m. The event is free and open to the public, and will be held in the library’s lower-level meeting room. Light refreshments will be served. DERRY -- The opening of a new medical technology school has been postponed, as organizers say initial financial backing has been hard to come by. Though originally set to open in January, classes likely will not start before July, said Roche, of Derry. The yearlong program will prepare students for the Certified Surgical Technologist exam, which certifies people to assist surgeons in operating rooms. Full-time students will spend the first six months in traditional classes, followed by three months of laboratory instruction and a final three months in an internship at Parkland Medical Center in Derry. Roche began applying for private grant funding to purchase laboratory equipment earlier this year but said he has yet to secure enough money to get started. “The funding sources we reached out to said that due to the economic situation that there’s very little money available,” he said. “But they did encourage us to reapply.” Roche said some unexpected support has come from Derry residents. Roche had been eyeing the street-level vacancy at 6 West Broadway for opening the new school, but said that with delays the group will likely expand its search throughout the town. And while Larry Muzerall of the school’s board of trustees said the setbacks have been frustrating, he said they give the group more time to organize. Muzerall lives in Derry and is the director of business development for Sedona International of Nashua. He said he and many other board members are new to the fundraising and grant-seeking process. But if money is scarce, Roche said student interest has been the opposite. Parkland Chief Executive Officer Tina Legere says her staff is also eager to begin working with Roche’s students. For more information about the New England Institute of Medical Technology, contact NEIMT@got-hr.com. DERRY -- During school vacation, many parents turn to community programming to keep their youngsters off the couch. “In the cold and after Christmas, I think kids tend to stay inside and play video games,” said Karen Wisniewski of Manchester Tuesday. Wisniewski’s daughter Brooke, 11, has been attending school vacation day camps at the Massabesic Audubon Center in Auburn for seven years. “This gets them outside and it’s fun and keeps them busy,” Wisniewski said. The Audubon program, which is open to children 6 to 12, takes kids through a variety of nature lessons around a particular daily theme. 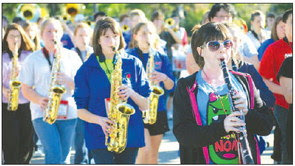 The full-day program runs from 9 a.m. to 4 p.m., camp director Angie Krysiak said. “We try to teach kids a lot about New Hampshire’s local environment and what’s going on in winter,” Krysiak said. Brooke Wisniewski said she appreciates the chance to stay active during her vacation. “Normally I’d just sit around the house or maybe hang with my friends,” she said. Lawrence Martial Arts Academy in Bedford offers a similar day camp. Jay Eaton of Goffstown said his three children have been attending the program for years. His eldest child is now 15. And while many full-day programs come with a fee, some local groups offer vacation programming free of charge. At Alexander-Carr Park in Derry, the sledding slopes are open from 9:30 a.m. to 6:45 p.m. on this vacation week. Park employee Dave Maloof said that about 100 people will come to the park on the average winter vacation day, especially after a fresh snow. The heated park building and indoor concession stand are open during sledding hours and the park is lit up at night. Many families hit the Derry slopes Tuesday afternoon, including Craig Gilbert of Derry and his three children. Gilbert said he was able to adjust his work schedule this week to spend time with his kids during their vacation from St. Thomas Aquinas School in Derry. For those sick of the cold, the Derry Public Library provides a free kids program during each day of school vacation. The library will host a magic show by local student magician Max McGee at 1 p.m.
today, with a charity trivia event running from 1 to 3 p.m. Thursday. “We just love to bring families together for things that they might not normally get to do in their hectic lives at home,” said Nancy Chase of the library’s Children’s Room. Manchester City Library also offers some special programming for this week’s vacation, including a video game tournament for teens and a New Year’s party for younger kids Thursday. DERRY -- An Eastman Drive family said their pellet stove is to blame for the blaze that destroyed their Derry home on Monday evening.Firefighters from Derry and many surrounding towns responded to 12 Eastman Drive at about 6:50 p.m. after receiving a 911 call from inside the singlefamily home, said Derry fire Battalion Chief Michael Doyle. Doyle said the home is occupied by three adults and two teenaged children, but that only two adult visitors were home when the fire started. “When we got here, everyone was out of the house and there was heavy smoke and fire in the rear,” he said. First responders entered the home, but were driven out by heavy smoke and fire, he said. A second alarm was raised by 7:05 p.m. because of the amount of flames, he said. The fire was under control by 8:30 p.m., but pieces of the roof continued to smolder as smoke billowed from the home.Doyle said three firefighters were injured in the blaze and taken to Parkland Medical Center in Derry, one with trouble breathing and two with minor burns to the head and face. One pet was killed in the fire, and firefighters were able to save a cat from the home. Derry fire prevention officials were on scene to investigate the fire, but Doyle said no cause had been determined by late Monday night. He said the fire is not suspicious. Jennifer Salvucci, who said she owns the 12 Eastman Drive home with her husband Mark, said the fire started in the family’s pellet stove. They had been using the stove for about a year, she said. Mutual aid was provided by Auburn, Hudson, Londonderry, Salem and Windham, Doyle said. Tankers from Atkinson, Auburn, Chester, Hampstead, Sandown and Windham were also on scene. By the evening commute, Derry plow trucks had cleared roadways but continued to battle snowdrifts. Crews in both Derry and Salem hit the roads at around 5 p.m. on Sunday, with about 70 employees and contracted plow truck drivers working in Salem and about 35 in Derry, according to town staff. Drivers kept at it through the night, officials said, and were finishing up final sweeps and chemical treatments by early Monday afternoon. Russell and Derry Public Works Director Mike Fowler estimated that about 12 to 13 inches of snow fell in each of their towns over the course of the storm. But the snow was light and there was room to store it off the roads, which Russell said isn’t always the case. And Fowler said the storm’s timing with school vacations made for easier work. Monday’s storm marked the first big snow event of the year, and Fowler said he’s only beginning to chip away at his $570,000 winter maintenance budget. After Monday’s final cleanup, Fowler said he estimates that Derry will have spent about $50,000 in labor costs for the whole season so far. Salem has only used about two-thirds of its $700,000 winter maintenance budget in this calendar year, Russell said. The new budget beings on Jan. 1, and Russell said his budget could handle two or three big storms before then. On the short term, Fowler and Russell said their crews continued working Monday night to monitor the snowdrifts that come with heavy winds. But Fowler said he hopes that by Tuesday morning, his crews will be able to take a muchneeded break. husband, Robert, traveled to New Zealand last month. LONDONDERRY -- As the longtime chairman of the Londonderry Conservation Commission, local plant enthusiast Deb Lievens is quite familiar with the destructive aftermath caused by invasive species within her own community. But traveling halfway around the world recently has definitely put some things in perspective. Last month Lievens and her husband, Robert, spent two weeks in New Zealand, an isolated country in the southwestern Pacific comprising two large islands and numerous smaller islands. An accomplished botanist in her own right, Lievens discovered new locations for five state-listed plants in her home state and has led botanical field trips for the state Audubon Society. The Lievenses were among the 30 or so mostly New England natives in a tour group sponsored by the New England Wildflower Society, of which Lievens is a member. Following a 13-hour flight out of Los Angeles, the Lievenses embarked on an unforgettable journey spanning several islands and multiple habitats. Lievens said she spent much of her trip on the south side of the island, where the constantly snowy peaks of the 12,000foot Mt. Cook loomed on the horizon. Hiking through sub-alpine habitats, grasslands, beaches, mountains and lakesides, Lievens said her favorite landscapes, by far, were the temperate rain forests. Looking through pages of plant photos she’d taken along the way, Lievens said many of the species captured on film have yet to be identified. The nation’s invasive species problems are many, she noted, with rivers stretching out of the mountain valleys, creating opened, disturbed areas that have proven a prime location for invasive species takeover. Since the native Maoris brought over plants and animals not previously found on the islands, an infestation of rabbits resulted. Stoats were brought over to help combat the rouge bunnies, but the weasel-like critters also prey on native birds, Lievens said. St John’s Wort and the common lupine are other invasive species that have proven problematic. Lievens noted that the New Zealand natives have imported beetles with a taste for St. John’s Wort to help combat the problem, similar to what’s been done to remedy purple loosestrife in Londonderry. “It just makes me worry more about our local situation, unfortunately,” she added. Among the interesting native species she encountered were giant sarsaparilla trees; the oversized buttercups known to locals as the Mt. Cook lilly; and tiny alpine flowers no larger than the head of a pin. Lievens said it was difficult locating books on New Zealand wildflowers, which she attributed to the fact that most of the nation’s native flowers don’t tend to be large and showy. LONDONDERRY — A Londonderry Eagle Scout was honored earlier this month when his project, the wooden walkways built on one of the town’s most traveled trail ways, captured the attention of the New Hampshire Land Surveyors Association (NHLSA). Dana Pierce, a 2010 graduate of Londonderry High School, was presented with an award during the NHLSA’s annual meeting, held at the Concord Marriot on Dec. 2. Without Pierce’s knowledge, a former scout leader nominated him for the award several months ago. Now a freshman studying mechanical engineering at the New Hampshire Technical Institute in Concord, Pierce said he chose his ambitious Eagle Scout project after learning of the community’s need. Instead of constructing trail signs as he’d originally intended, Pierce began the three-month process of designing and constructing two puncheon-style walkways on an existing trail known for its seasonal flooding. Located behind the town’s municipal complex, the trail is well-traveled throughout the year, as it provides off-street pedestrian and bicycle access to schools, sports fields, the library and town hall from a neighborhood with approximately 150 homes. The Londonderry High School and Middle School track teams also frequently use the trail. Set at the bottom of a hill, the trail borders a 3,000square-foot bowl of wetlands, which become saturated with water each spring, rendering the trail unusable. “In order to travel through this part of the trail, pedestrians walk on higher adjacent areas, destroying the ground and vegetation, which negatively affected the surrounding wetland environment,” said Pierce’s father, Larry Pierce, who serves on the Londonderry Trailways board of directors. During the fall of 2009, Pierce worked closely with town and Londonderry Trailways officials to survey the area, create maps and mark the project site, while obtaining necessary construction permits through the state Department of Environmental Services Wetland Bureau. Start to finish, the project took an estimated 145 hours to complete, of which the former high school honor student contributed 62 hours. DERRY -- A weather-related mishap involving a tractortrailer on Bypass 28 caused a section of the highway to be closed after a punctured gas tank spilled about 75 gallons of diesel fuel onto the road. The accident happened after a truck pulled onto the bypass from English Range Road, colliding with the truck and puncturing the fuel tank, according to Derry police Lt. John Muise. A second accident described by police as more of a fender bender farther south on the bypass at about the same time also complicated traffic flow, but police blocked off the road and redirected traffic without incident. However, the fuel spill did add to the hazard of the already icy roadway, police said. Despite efforts by plow trucks to keep the travel lanes clear, yesterday’s blustery winds continued to create pockets of snow here and there throughout the region. That was really the only trouble area reported so far, Muise said yesterday afternoon. Police in Londonderry, Salem and Windham also reported no major traffic snarls, even though the overnight blizzard conditions continued into the early afternoon, bringing plenty of snow that was then swirled around by continual gusts of wind. Michael Connolly of Frost Lane in Windham said he had an unexpected extended vacation after a minor snowblower accident yesterday morning. For most tried and true New Englanders, it’s hard to get excited about a blizzard even when it’s the first of the season. Henry Law, who lives on Snowflake Lane in Londonderry, said he isn’t sure what everyone gets so wound up about: It’s just snow.“It was nothing special to me. I got up early, plowed my driveway and went to work. That’s what everybody does. We all expect it here in New Hampshire,” Law said. Besides treacherous roadways and piles of snow to be shoveled, the other thing that always goes with the territory is fun, and that’s just what Irene Humel’s kids had in mind when they traveled from their home on Frost Road in Derry to Pat’s Peak in Henniker yesterday with some friends visiting from New York for the holiday. It was absolutely freezing, and absolutely fun, said Humel, whose kids Madeleine, 12, and Liam, 10, hosted Sophia Mohlulis, 11, of Scarsdale, N.Y., on the slopes. “Actually, we heard they got quite a bit of snow in Scarsdale, too, but it was much more fun to be skiing in New Hampshire with friends,” Humel said. DERRY -- New Year’s Day is fast approaching. Aside from being the actual first day of the new year, it is also a bit of a national holiday for cookie lovers around the globe: Jan. 1 is Girl Scout Cookie Sale Kick-off Day. “We have about a month to take orders before the cookies come in,” said Barbara Geroski, Girl Scout Cookie program coordinator for Derry Community Girl Scouts. “It’s our No. 1 fundraiser, and all the proceeds that come back to us go to run Scouting camps and funding all our programs,” said Geroski. It has been 75 years since the national organization first licensed a commercial baker to mass produce cookies to be sold by Girl Scouts across the country. Before that, cookies were home baked and sold regionally. Geroski said that while much has changed about the way cookies are sold — with Girl Scouts banding together to set up cookie stations or partner with local businesses to share real estate, like Walmart or the East Derry General Store, cookie consumers can now find out where to buy cookies by logging on to www.girlscoutcookies. org, entering your ZIP code and finding a local source for all your Thin Mints and Samoas. As always, there is more to selling cookies than the 70 percent profit that stays locally to help Scouts fund programs, said Geroski. Even down to planning an activity or event, much of the work needed to coordinate a trip or fundraiser is left to the girls to work out, said Geroski. 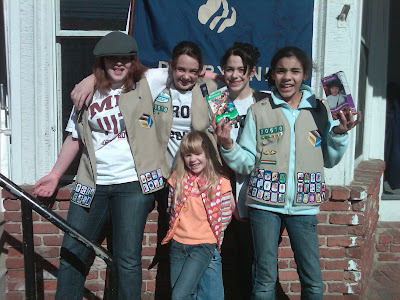 Teaching them early on that there is more to an activity than just showing up is part of the Girl Scout mission. When Girl Scouts were established in the early part of the 20th century, it was a way to get girls out of the sheltered environments of their homes and out into the world. That mission has evolved to include learning about how girls can make a difference in the lives of others, said Geroski. In addition to buying cookies for your own consumption, the public can also donate cookies to local food pantries or to be sent overseas to the troops, said Geroski. “Some local troops organize collections that will go to a local pantry, but for the past five years, a larger percentage of troops participate in A Gift of Caring, which is a program in partnership with the National Guard, making it possible to send cookies to the servicemen and women overseas,” Geroski said. 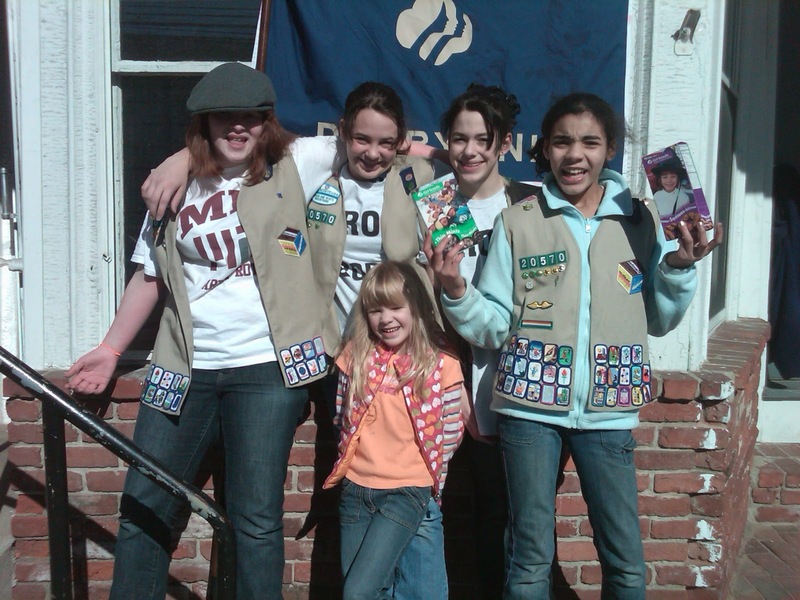 For more information about cookie sales or to find a Girl Scout meeting near you, contact Geroski at bjgeroski@comcast.net. DERRY -- A preliminary hearing to reinstate Derry’s Charter Commission has been scheduled, as town officials are hoping to get a new version of the charter on the March ballot. In a recent decision, Merrimack County Superior Court Judge Richard McNamara granted the request for a hearing, to be held at 10 a.m. on Jan. 19 at the Merrimack County Superior Court in Concord. The joint request was submitted by the town of Derry and the state Attorney General’s Office, according to the petition. Derry voters were set to deliberate on proposed charter changes during the primary elections, but town officials pulled the question from the ballot after last-minute objections from the state. The Charter Commission had forwarded its proposed changes to the state Attorney General’s Office in January, according to Derry Town Clerk Denise Neale. But the town never heard back from the state within the allotted 30-day timeline, she said, and officials assumed the changes were acceptable. Due to “accident, mistake or misfortune,” the Derry charter changes were not properly filed at the state level, according to the petition. A letter outlining state objections was not sent to the town until Sept. 7, just one week before the primary election. Now in order to get the charter changes back on the ballot for March, the Charter Commission must be allowed to reconvene, make the necessary changes and have those adjustments approved again by the state. Neale said the new version would need to be finalized by Feb. 1 in order to make it onto the March ballot. Derry Town Administrator John Anderson said he is optimistic things will move more quickly as soon as an updated final report is filed. State Rep. Phyllis Katsakiores, R-Derry, said she hopes legislation she is putting forth next year will prevent such confusion down the line. Under her proposal, which will soon be filed, Katsakiores said the state would be required to send a formal letter of receipt to the chairman of a municipal charter commission within 14 days of receiving proposed changes. LONDONDERRY -- Following a lengthy debate over potential budget cuts, the Londonderry School Board voted unanimously last week to bring its proposed $63,222,575 budget to public hearing next month. During the year’s final budget workshop on Dec. 21, board members sought an additional $400,000 in reductions from Superintendent Nathan Greenberg’s proposed budget. Greenberg said the district’s teachers had agreed to forego payments given for attending regular staff development workshops, a move that would save the district $135,000 next year. Further reductions include a library secretary position in the district office ($45,400), and system-wide reductions in supplies, materials and equipment ($20,000). Cutbacks to co-curricular, or second tier, activities were presented as an option for saving an additional $200,000, though Greenberg warned there would be major consequences. Co-curricular (after school) music reductions at the middle school would save the district $21,000 but would potentially spell an end to music programs such as the jazz ensemble, the Pop Stars singing group, select choir, marching and color guard. Over 150 students at the high school would be impacted by the elimination of freshman soccer, basketball, softball, baseball, lacrosse and football, to the tune of another $24,000 in savings. Another 130 middle school students would be impacted from similar cutbacks at the middle school level, though the district would save $27,000. Cutting two teaching positions— one elective position at the high school and one elementary teacher — would save roughly $128,000. No one else from the public offered comment. However, School Board member Steve Young said the additional savings possibilities could still be returned to the table during the district’s public budget hearing, set for Jan. 13. The school budget will next be debated during a public hearing on Jan. 13 at Town Hall. DERRY -- A date has been set for Derry’s first-ever Junior Solar Sprint competition, which will be held at Pinkerton Academy this spring. The Solar Sprint program, sponsored by Massachusetts-based Northeast Sustainable Energy Association, encourages middle schoolers from across New England, New York and New Jersey to build and race small solar-powered cars on a 20-meter track. And while New Hampshire students have participated in the past, members of Derry’s Energy and Environment Advisory Committee hope a new local competition will get more area kids involved. “This is a great opportunity for kids because they can learn about mechanics and gears, speed and acceleration, and aerodynamics,” said energy committee chairman Tom Minnon. “But it’s also about teamwork and competition.” The Derry event is scheduled for April 23 at Pinkerton Academy and is open to any area students in grades six through eight. The event is not exclusive to Derry students. Participating teams are issued a starter kit with a solar panel and motor. Working in groups of three or four, students construct a car that runs only on solar power and carries an old soda can over a distance of 20 meters. The winners of local competitions advance to a final championship in Massachu-setts, Minnon said. Minnon said he hopes teachers from middle schools in Derry and surrounding towns will incorporate the Solar Sprint program into their regular curriculum. And many homeschool parents have also expressed interest in the program, he said. The energy committee will host an informational session for teachers and parents on Jan. 29 from 10 a.m. to 1 p.m .at the Derry Public Library. Anyone interested in participating in the training session may contact Tom Minnon at tminnon@comcast.net. More information about the Junior Solar Sprint competition is also available at www. nesea.org. Jeff Pelletier of Windham Farms hoists a last-minute tree at his Christmas tree stand on Route 111. LONDONDERRY -- O, Christmas tree. If ever there was an unsung MVP of the post-Christmas season, it’s you. By Dec. 26, some of us are already plotting your demise, cursing your prickly needles as they pierce our feet through our socks after having gathered, undetected, in clusters under throw rugs, conspiring to clog our vacuum cleaners. In the midst of all our holiday hubbub, there has been you, standing tall, star-topper beaming, lights twinkling, heirloom ornaments dangling. But starting today, the annual tradition of undecking the halls and kicking you to the curb begins in earnest. So before all that happens, let’s pause for just a moment to consider just how this Christmas tree tradition began, why it persists and what our beloved trees mean to our local economy — after all, New Hampshire is right up there among the top 18 states when it comes to Christmas tree farming, accounting for about 82,000 trees this season. Glad you asked. Because 2010 happens to be the 500th anniversary of the first-ever decorated tree, which was set up in Riga, Latvia, according to that country’s national tourism site. It’s also a factoid being touted by the National Christmas Tree Association here, Urging us as a nation to get on board and show some love to this timeworn tradition. Because without the annual decking-of-the-tree tradition, there would be no need for the N.H. Christmas Tree Promotion Board, of which Nigel Manley, director of The Rocks Estate in Bethlehem, is a member. The Rocks is a 1,400-acre preserve that not only grows and sells lots of Christmas trees but also is all about educating the public on the value of “real” versus artificial trees. The Rocks is owned by the Society for the Protection of New Hampshire Forests and grows about 52,000 trees. Of those, about 3,500 are cut each year and sold in retail tree lots across Southern New Hampshire each Christmas season, said Manley. “Not only do we sell them locally, but we sell about 300 trees and 700 wreaths by mail order each year. We hit every state, including Hawaii and Alaska,” said Manley. It’s that diversification that helps keep profits up among Christmas tree vendors, who are feeling the pinch of this post-recession economy just like everyone else. “For those who still believe that there’s something wrong with cutting down trees for Christmas, I have to remind them that it’s farming. Being a conservation society, I do a lot of educational programs here. I explain to people that we plant trees that are about 4 years old and grow them for another six to nine years, so that most trees that go to market are between 10 and 13 years old,” Manley said. “People get worried because we’re cutting down trees. And the good news for tree growers in New Hampshire — and everyone who benefits from the trickle down of a good economy — is that tree sales were up this year. In terms of profit, the N.H. Christmas Tree Promotion Board estimates it’s a $4 million industry for trees, wreaths and garland. “We could have sold another 2,000 trees here. I think in this economy, some people who might have given up on trees in the last few years were actually buying trees again because they felt good about how things were going. 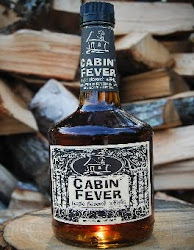 There was really a positive feeling among consumers this year,” Manley said. Paul Onessimo, who spent his first season as a Christmas tree salesman at Shady Hill Greenhouses and Nursery in Londonderry this year, said he saw the same spirit among tree buyers. Trees were moving off the lot starting on Thanksgiving weekend, and business remained steady right through Christmas. “It’s hard to say what the trends are, since this is my first year, but here we sold more Fraser firs than balsams. People seem to like the Frasers because they’re a little more compact, and the needles don’t drop like they do on balsams,” said Onessimo. By Dec. 22, there were only a few dozen trees left on the Mammoth Road lot out of the estimated 1,000 trees sold this season, and owner Ron Hill said he wasn’t expecting to have any leftover trees. “Frankly, we haven’t had any unsold trees here for the past two years,” said Hill — a point of pride for any tree salesman worth his weight in pine needles. Having leftovers is a tree-selling faux pas; no one wants to feed a tree into a chipper if they can sell it for $40. That’s why Jeff Pelletier, who has been hustling Christmas trees for Windham Farms along Route 111 for the past 17 years, only brings in about 10 trees at a time during the week leading up to Christmas. “And I’ll sell every single tree I bring here,” said Pelletier. “I’m here until Christmas Day. Since recycling leftover trees isn’t a huge problem for retailers, the question of what becomes of a spent Christmas tree really falls to consumers. Fortunately, many towns in the state offer curbside pickup of Christmas trees for a limited time. Depending on where you live, you can check with your town offices or transfer station for specific dates. Most town websites include Christmas tree recycling information. However, if you live someplace without a recycling program, you’ve probably seen dried out Christmas trees rolling like odd-shaped tumbleweeds through your town for weeks after they’ve been dragged to the curb, for lack of a better place to toss them. If that sounds familiar, try contacting the N.H. Fish & Game Department, which in some regions has a state fisheries habitat restoration program, using recycled Christmas trees to make fishfriendly habitats. You can also load your tree up with peanut-butter coated pinecones rolled in bird seed and “plant” it in your back yard, creating a makeshift bird feeder to help wintering fowl through the coldest months. If you still aren’t sure where to recycle your Christmas tree, log on to www.earth911.com, which provides a clearinghouse of state-by-state information about making sure your Christmas tree lives on in one form or another long after the twinkling lights are packed away for another year. DERRY -- After weeks of discussion, Derry’s fiscal advisory committee and school board have signed off on a preliminary budget proposal to go before voters for public input next month. The current proposal sits at $73.4 million for the general fund, with $1.2 million for the self-funded food service program, said the district’s business administrator Jane Simard Wednesday. The district is set to receive $1.3 million in federal funding, she said, and $719,000 as part of a federal education jobs grant. But faced with the anticipated loss of $7.1 million in state adequacy aid, the district proposed an initial budget that found $4.5 million in cuts over the current year. Recent numbers have shown that state funding gap might be decreased to $6.4 million, Simard said. Few changes have been made to the district’s initial proposal, which now includes a decrease of $5.8 million in spending over the current year. But at a meeting Monday night, members of both the school board and fiscal advisory committee came to a consensus to include a $75,000 wage pool to fund merit pay raises for non-union support staff and administrators next year, Simard said. The merit raises would come in between 1 and 2 percent of an employee’s current salary, she said. No administrator pay raises were approved last year, and school board Chairman Kevin Gordon said it was about time. “They took a wage freeze last year and we have administrators that make close to some of the highest paid teachers, and here we are laying off teachers and putting more work on them,” Gordon said in an interview Wednesday. Gordon said the board is also looking to start a long-range planning committee to look at employee wages, among other issues. The committee will be comprised of the board chairman, vice chairman and secretary as well as representatives from the community. The board will begin looking for volunteers in January, Gordon said. At Monday’s meeting, the group also supported leasing computers next year, as opposed to buying new equipment outright. The initial budget proposal included $120,000 to purchase 90 new computers to replace outdated equipment in three computer labs, Simard said. But after members of the fiscal advisory committee suggested the district look into leasing, the technology committee came up a $37,000 proposal to lease the necessary computers instead, Simard said. This would be the first time the district has leased computers and Superintendent Mary Ellen Hannon said next year would be an experiment before a long-term plan is finalized. 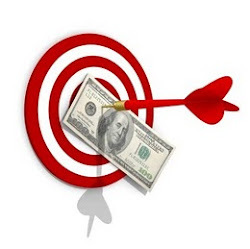 The public hearing on the budget proposal will be held at 7 p.m. on Jan. 13 at West Running Brook Middle School. Hannon said the school board will likely hold a budget work session the following week and finalize and approve the budget for deliberative session at its meeting on Jan. 25. Robin Perrin retires after 30 years at Pinkerton. 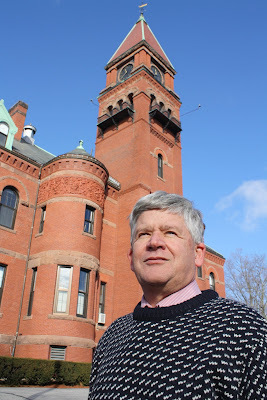 DERRY -- When Robin Perrin walked into a job as the editor of Pinkerton Academy’s alumni magazine 30 years ago, it was without any knowledge of the school’s nearly 200-year history. But since then, West says Perrin has built up an understanding of Pinkerton history and tradition to rival even the most informed graduate. But after a career spanning three decades, Perrin retires at the end of this month. As alumni coordinator, Perrin was first responsible for putting together the quarterly magazine and organizing alumni reunions and other events. Within a few years, Perrin’s role was expanded to include press relations. He had earlier worked as a journalist for several years in Manchester. 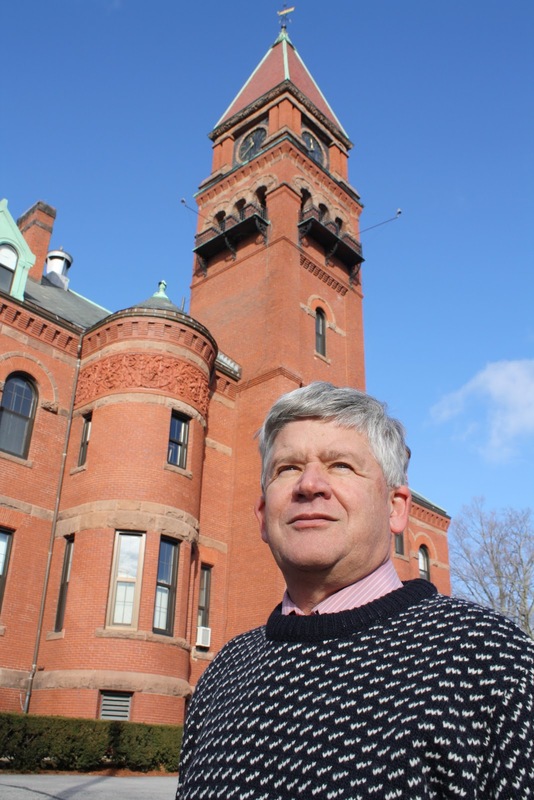 He has been involved with the Public Relations Society of America for several years, serving as the Northern New England chapter president in the early 1980s and on the national board in the mid-’90s. By 1983, Perrin was Pinkerton’s student council adviser, a role he held for 13 years. He was named New Hampshire Student Council Adviser of the Year in 1994. Perrin and his wife, Kathleen, also co-coached Odyssey of the Mind and Destination Imagination teams for many years while their son, Scott, was at Pinkerton. The Perrins have taken seven Pinkerton teams to the World Championships, once winning a global award for creativity. Perrin is now considered Pinkerton’s “relations manager,” handling alumni affairs, press relations and fundraising. But he said the work he most enjoys is meeting alumni and collecting their stories. “My favorites are the mischievous ones,” Perrin continued. Perrin credits former Pinkerton teacher Olive Abbott with passing to him much of the school’s institutional memory. Abbott retired from in the 1990s and continued serving as the school’s historian for several years. And in turn, Perrin said he’s made an effort to impart his knowledge to Anne Parker, who has been working in the alumni office for 10 years and graduated from Pinkerton herself in 1986. In what he called one of his greatest honors, the Pinkerton Academy Alumni Association named Perrin an honorary alumnus a few years ago. And while Perrin will be stepping back from his post next week, he said he hopes to stay involved at the school as long as he’s needed.